To be a model of absolute perfection? Statuesque? Sculpted? No discernible flaw? No thanks. Mae West said it best: "I'm no model lady. A model’s just an imitation of the real thing." Leave imitations to the models. Be real. Niagara may first and foremost be known as a waterfall, and, not to take anything away from it, but the grape with the same name is absolutely splendid. It makes a sweet wine with an aroma of candied lemon rind and what has been referred to as a “foxy” aroma. 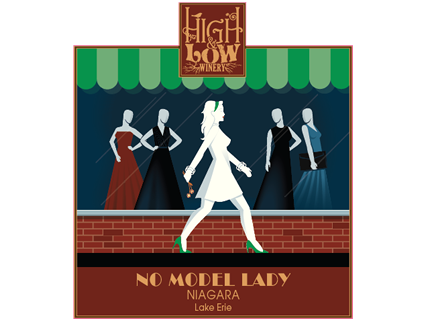 Our Niagara, the sweetest of our wines, is perfect, though it’s no model lady. It knows where it’s going, marching to the beat of its own drummer, headed straight toward a good time. We find that our Niagara pairs well with fruits and cheeses. Or pair it with whatever you prefer, or with nothing at all! At the end of the day we like to say, Drink it, don’t overthink it.